Dr. Noellert specializes in the care of injuries and disorders of the elbow, forearm, wrist, and hand. This includes arthritis care, sports injuries, carpal tunnel syndrome, wrist arthroscopy, and industrial trauma. His approach is extremely personable and considers the unique characteristics of each ... Read More patient's occupational or recreational needs. 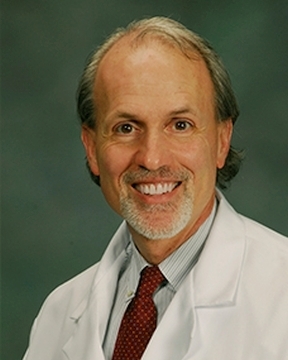 Dr. Noellert received his medical degree from University of Michigan Medical School. He completed his surgical internship, surgical residency, and orthopedic surgical residents at the University of Michigan Hospitals. Dr. Noellert also completed a fellowship in hand and microvascular surgery at the University of South Florida in Tampa. Dr. Noellert is board-certified in orthopedic surgery and specializes in orthopedic hand surgery. He has special interests in carpal tunnel syndrome, wrist arthroscopy, and hand reconstruction surgery. In his spare time, Dr. Noellert enjoys hiking, travel, music, and being on the water. He and his wife Pam also enjoy keeping track of their six children and three grandchildren.